Company History - Engineering Development Laboratory, Inc.
Engineering Development Laboratory, Inc. (EDL) is the dream and vision of Ross L. Goble, Ph.D., and his wife and business partner, Mabel F. Goble.The Gobles made EDL a reality in 1984, and the results have been superb. 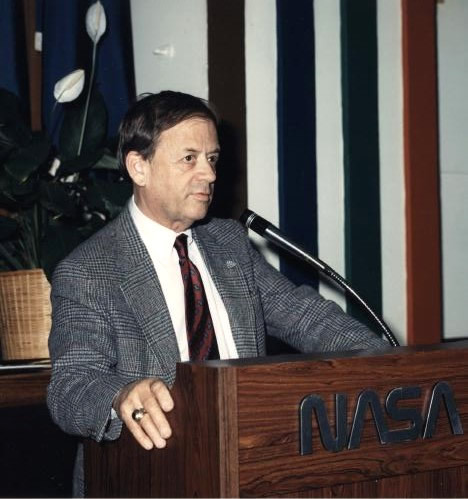 EDL launched in April, 1984 in Newport News, Virginia, as a high-tech engineering design and development organization supporting NASA Life Sciences and local industry with innovative, reliable, leading-edge technology, custom equipment systems. From 1984 through 1989, EDL designed and turnkey manufactured over 300 such systems supporting a myriad of customer needs. These wide ranging applications encompassed human physiology research of NASA astronauts in outer space, precision volume determinations in the nuclear industry, production durability test stands and quality audit test systems for new automotive vehicle components and sub-systems, precision guidance systems for high-speed, heavy-load automated guided vehicles, and many, many more. As EDL’s engineering design, development and fabrication services blossomed, in 1989 Allied Bendix (later Siemens Automotive and now Continental Corporation) outsourced to EDL their entire remanufacturing production line for General Motors Corporation aftermarket Electronic Control Units (ECUs). The ECUs were subsequently remanufactured by EDL on a dock-to-stock basis for GM for over a decade. The GM ECU program was the genesis of our evolution into a full service, electronics manufacturing and engineering services firm. In 1992, EDL moved into a new, 20,000 square foot facility to support expansion of its burgeoning manufacturing lines. For example, the successful ECU program lead to additional, major opportunities to manufacture (on a dock-to-stock basis) new-build products for the automotive aftermarket, including Water Temperature Sensors for GM and Chrysler, and Heated Oxygen Sensors for Allied Signal (now Honeywell). Also, in 1992 EDL launched its’ first high volume, mass production line supporting Hewlett Packard Laser Jet printers manufactured by Canon Virginia. For nearly a decade, EDL turnkey manufactured, tested and delivered 500,000 to 1,000,000+ PCB assemblies each year to Canon on a Just-In-Time, dock-to-stock delivery basis. EDL’s engineering and electronic manufacturing services expanded rapidly throughout the 1990s supporting additional firms including Allied Signal, AMF Bowling, Mercury Marine, nView Corporation and Raytheon. Successfully supporting these and other customer’s needs required significant expansion of electronic production and testing capabilities and capital equipment, including the introduction of automated surface mount assembly lines. Moreover, during this period EDL’s turnkey manufacturing capabilities and skill sets broadened to provide “box builds” and pure mechanical assembly builds. During this decade of rapid growth, EDL remained focused on a key element of its Mission Statement which is our most important asset - our dedicated employees. Our Mission Statement reads “EDL will continually strive to maintain a safe, quality work environment in which employees can improve their lives, and in so doing, produce quality products that exceed customer price and delivery expectations”. In 1997, EDL was the first firm in the Commonwealth of Virginia to be awarded the Safety and Health Achievement Recognition Program (SHARP) certification by the Virginia Department of Industry and Labor, naming EDL a “proven leader in the area of occupational safety and health in Virginia”. EDL has maintained this certification each year. The first decade of the new century brought significant changes and significant, additional infrastructure investment – in capital equipment and technological capabilities - which were critical to support increasingly challenging, complex programs and products required by our customers. For example, to best handle customer program expansion requirements, in 2002 EDL constructed and moved into a modern, 25,000 square foot manufacturing facility (readily expandable to 32,000 square feet) which we continue to own and occupy. Also, building upon our culture of continuous improvement and provision of the highest quality products providing the best possible value to our customers, EDL earned ISO 9001:2001 (now 9001:2008) certification in 2007. Headlight Actuator Control Modules used on all new GM Corvettes and Firebirds; total turnkey, true dock-to-stock manufacture of scoring system products for AMF bowling centers; Antenna Positioning Units used for sea-based, military satellite communications systems; radiation-hardened Memory Modules deployed into the Minute Man III Missile Weapon System Launch Control Centers; Automated Battery Charging systems used by Navy Seals; highly-customized, complex RF application PCB assemblies for USA Special Forces secure communications products, and Man Overboard Identification and Location systems for military and commercial use. Today, EDL continues to fulfill its mission of exceeding customer expectations for impeccable quality, reliable delivery and competitive pricing and providing a quality work environment in which our employees can improve their lives. While accomplishing this mission every day, our customers, our long term manufacturing partners, continue to find the very best value for their product and resource needs at EDL.